This multi camera system allows you to connect up to 4 cameras to to any monitor. if you want a better rear view or your concerned about security around your RV this simple install box will do the trick. if you dont need to see all 4 screen at once you have the option to change that as well. in addition if you have a DVD player in the car you hook that up as well split it to a second monitor in the back of the vehicle, this way you can see what everyone else can see. 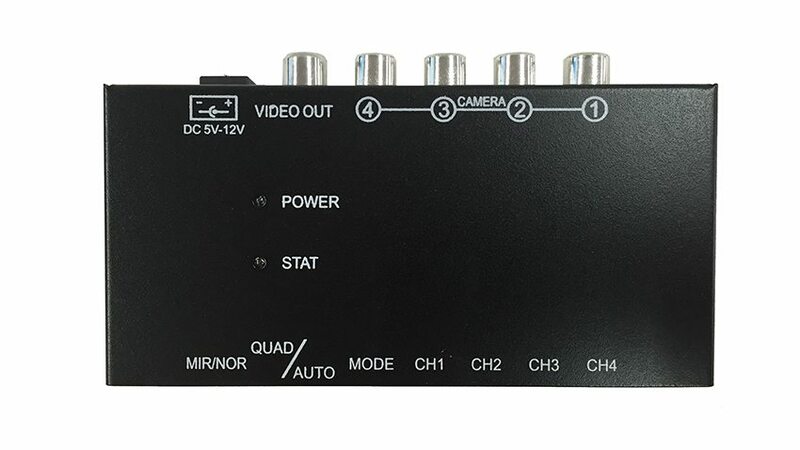 This item is a control box for up to 4 cameras, we also sell monitors with a built in split screen capabilities this item is only for those who already a monitor and want split screen capabilities.